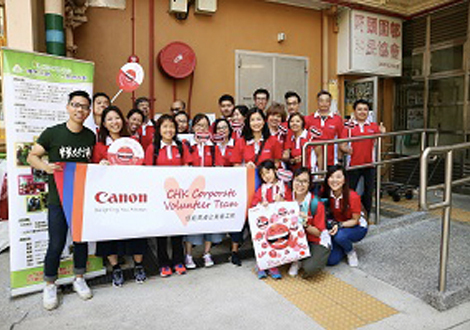 HONG KONG, 6 July 2018 - Canon Corporate Volunteer Team was established since 2015, which successfully gathered enthusiastic employees who voluntarily devoted their leisure time into sending cares to different audiences in the society through an array of social services. 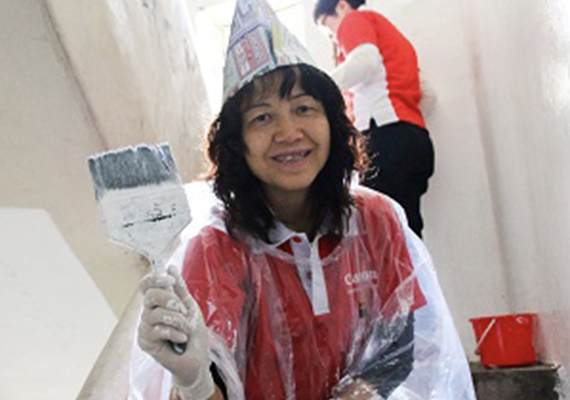 In 2017, 82 corporate volunteers had served in 8 programmes, contributed total 2,100 hours of service to the community. 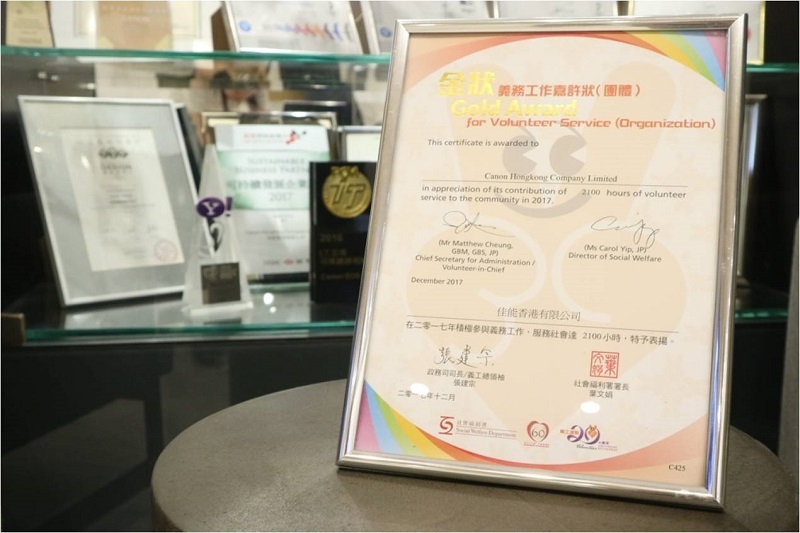 And these service hours achieved the Gold Award for Volunteer Service (Organization) 2017 issued by the Volunteer Movement of Social Welfare Department. 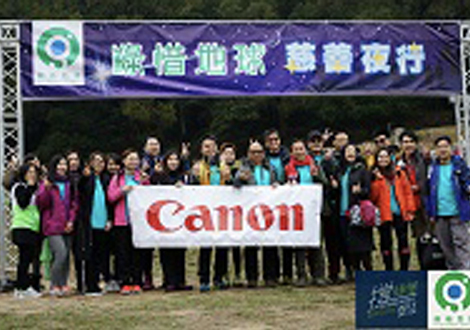 Throughout 2017, CHK Corporate Volunteer Team supported 8 services which targeted different beneficiaries including children, elderly, low-income families as well as the environmental protection. 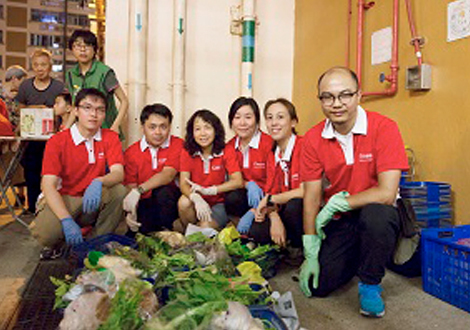 One of the highlight programs fall into the co-operation with People Service Centre giving Regular Service on Surplus Market Food Collection. 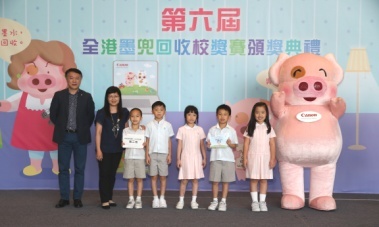 This is the second consecutive year for supporting regular pattern on four days per week services (on every Monday, Wednesday, Thursday and Friday). 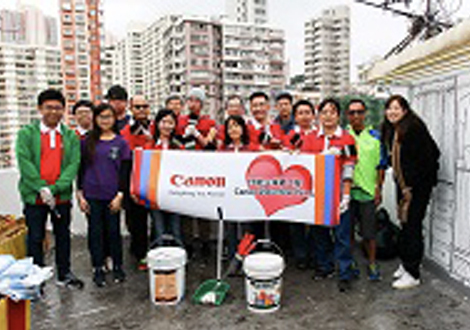 Our volunteers formed small team to help collecting the surplus food from wet market and re-distributed to the needy in Kowloon City district. 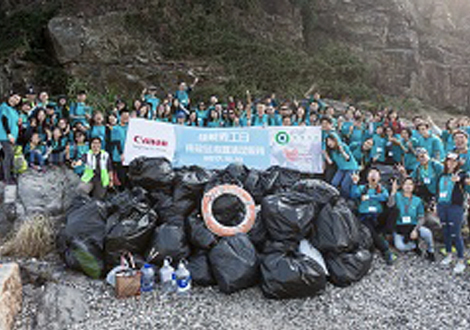 As annual summary, our team rescued total 33,770.5kg leftovers, equally average 192kg of surplus food daily which included fruits, vegetables, meat, bread, fish and even fresh seafood. 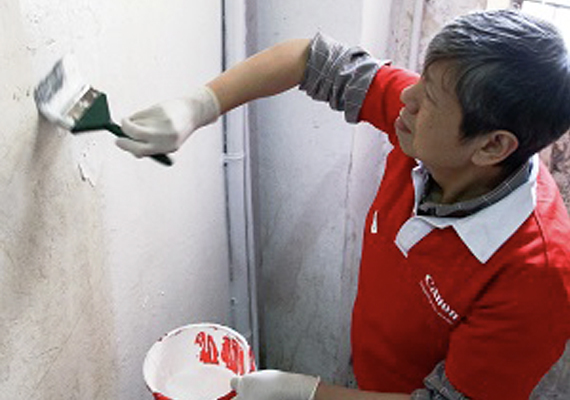 To step further, home visit service is inserted into the program. 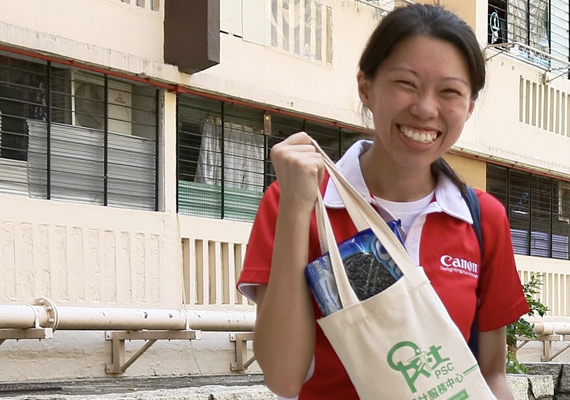 A separate day for volunteers to visit beneficiaries of market food collection program, causally talk with them and distributing groceries like biscuits, drinks and rice for their enjoyment. 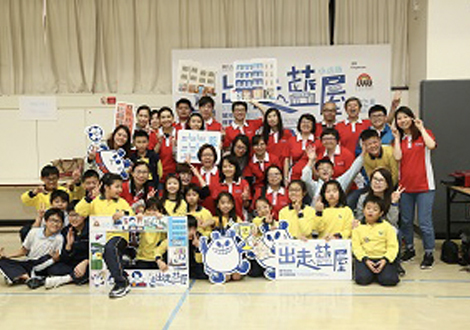 All these actions as a proof, showing our program can successfully help to promote good use of food and meanwhile develop co-relations in the community. 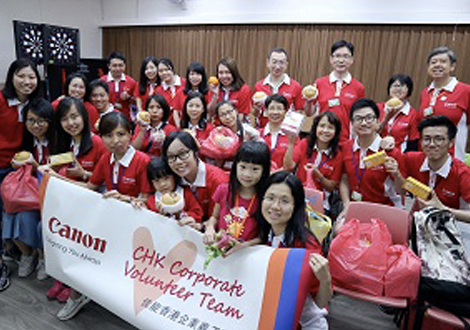 Our team truly feels the happiness through participating volunteer services and proved that it is better to GIVE than to RECEIVE. 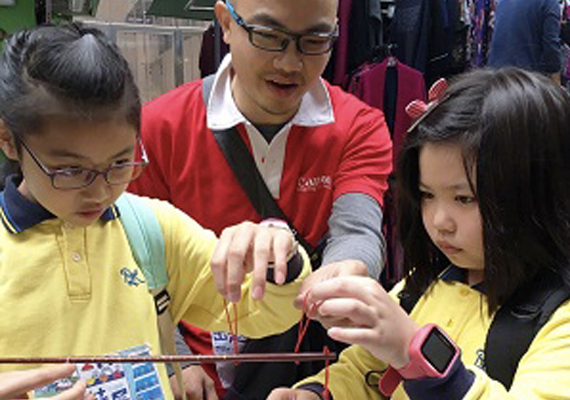 Furthermore, we are delighted to have six outstanding volunteers are attained the Silver and Bronze Award as appreciation for their individual contribution by accumulated over 100 and 50 service hours during 2017. 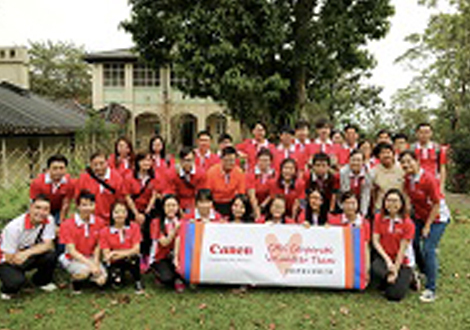 To devote personal leisure time into sending cares to the society, they surely demonstrate a good role model and bring stronger team spirit and cohesion to the team. 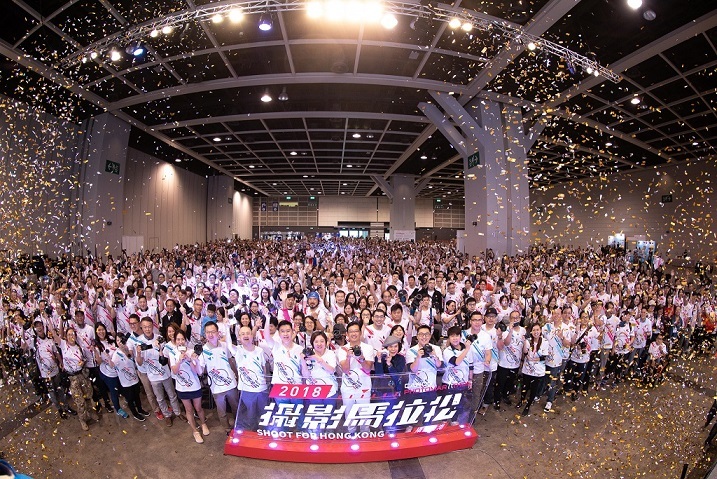 Our team is proudly attained the Gold Award for giving 2,100 service hours in 2017, and certainly to continue support various services. 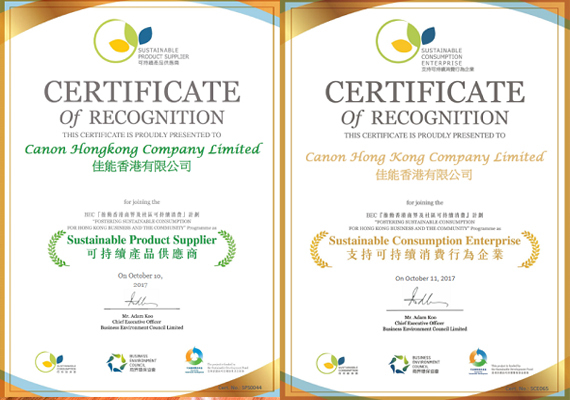 Canon Hongkong is recognised as "Sustainable Consumption Enterprise" and "Sustainable Product Supplier"